So this is really happening I guess. It is funny how something can go from “I am thinking about not doing it” to a completely fleshed out and active thing over the course of a week. 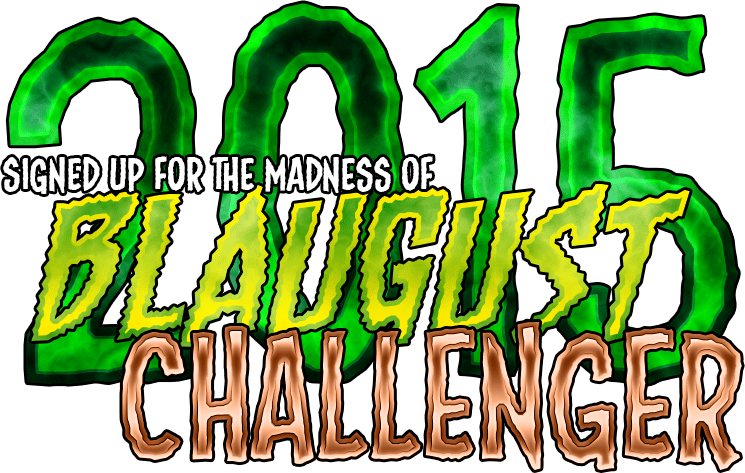 As of this morning there are thirty two folks signed up to participate in Blaugust this month, and I think that is pretty great. My wife has even spun the event off into her own thing within the MTBOS math community, and I created a completely separate logo for them. This time around as I said before it is a greatly revised event, mostly focused on producing more content, rather than having folks attempt to run a gauntlet. The gauntlet concept was cool, but a bit misguided given that the end result often times caused folks to take a few months off after the event. I didn’t want the month of August to feel anywhere near as stressful as say NaNoWriMo for example, so as a result this year we are dialing it back a bit. You can check out the full post over here where I announced that we were in fact doing it this year. However a quick rundown of the rules are simple. First just fill out this Google Form with pertinent information about your blog, to make sure it ends up on the radar of the community. Next blog… and this time around set your own intended schedule. Whenever you post your blog on twitter please use the hashtag #Blaugust2016 to make it easier to track and so that folks can simply subscribe to that and see all of the content. There is also the Blaugust Nook for folks who want to hang out and share ideas and topic prompts, also a great place to share your post content. Finally and most importantly… get to know the other participants. Common struggle makes a great means for bonding… and for those who are not used to posting on a schedule this might be a bit of a struggle. Reach out to the other Blaugustians and get to know them, because it is a great time to make new friends and rekindle old friendships. 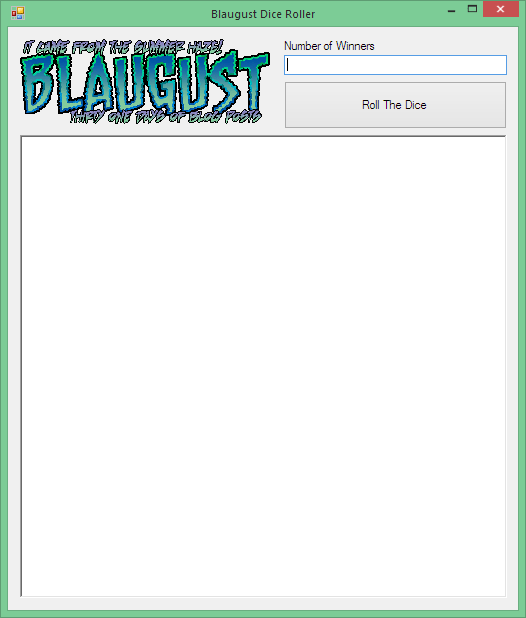 I hit refresh on my google sheet just to make sure I am including everyone, but as of this very moment we have thirty two participants in the 2016 running of Blaugust. There is still plenty of time to sign up an participate but for the moment these are the folks you can look forward to seeing content from. I believe that is everyone represented that has signed up currently. I cannot be 100% certain however because in true “Belghast” fashion I decided to complicate things at the last minute and attempt to list everyone out by the schedule they signed up for in the google form. I believe however I have all thirty two blogs accounted for, and that no one is duplicated, however if I somehow made a mistake please let me know. I look forward to the next month and seeing how this “kinder gentler” Blaugust goes. [Edit] as folks sign up been adding them into the post as time allows. Right now we are up to forty! The time has come and as I said in my original post this year, I would tabulate the results and post them on September 2nd. This month really was an absolute deluge of content, and there is really no other way to say about it. I know I personally struggled to keep up with it all. I have to say however one of the best moments for me was reading the many “last posts” of the challengers. They all seemed to have a theme of “this is what blaugust taught me” or “I am proud of myself that I survived”. Reading each of those was so amazing. As I remarked yesterday I feel like the bulk of the community is not quite sure if they want to give me a hug… or flip me the bird. It is interesting being both Hero and Villain at the same time. After reading the posts… I can be perfectly fine with either distinction because the end result was pretty awesome. This year we had far greater participation, and I am still completely floored by it. In 2014 we had 52 folks participating, and of those 28 managed to “win” the challenge of posting something every single day. One of my frustrations however is that because of the way I was running the contest, it kept someone from joining late, playing catch up, and being eligible for the final prizes. This year I changed the guidelines to something I am much more happy with, which is simply getting thirty one posts during the month of August. We had a grand total of 88 folks who signed up and participated in the challenge, posting at least one blog post. From there I made a separate distinction to give folks some credit who at least made it to the half way mark with fifteen posts and in that group we had 76. The most impressive thing however is that we had 56 people who managed to complete thirty one posts during the month of August. For added benefit I also kept track of who happened to participate last year as well, and we had 24 who were returning. Without further stalling… here are the lists! The thought of posting something every single day for a month is a scary prospect, so simply signing your name on the dotted line and participating is pretty awesome in my book. This list is folks that joined the Blaugust initiative and posted at least one blog post during the month of August. Some of them however got really damned close to the halfway point. So lets take a moment to recognize them. You have all earned the right to use this badge in whatever fashion you like! It is available in a full resolution version and a sized down version ideal for sidebars. Of this batch, there is a group that I want to give special recognition to. These are folks that participated for the second year, and for them I have special versions of the badge also available in full resolution and sized down versions. This year I made a special distinction for all of the folks that managed to make it through at least fifteen blog posts during the month of August. We had some folks in the group that barely crossed the line, and others that damned near hit the final mark. There were several that managed to hit fifteen only to decide that this daily blogging thing really was not for them. In any case posting essentially “every other day” for a month is quite the feat as well, and I wanted to acknowledge this separately. I’ve dubbed this group the survivors, and they have earned the right to use this badge and title in whatever form they wish. Once again it is available in both full resolution and scaled down versions. 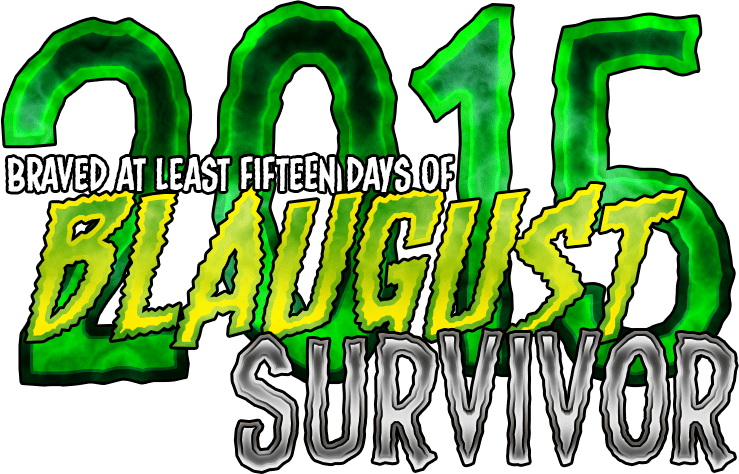 Once again I wanted to recognize the folks who managed to “survive” the challenge this year that also participated last year, so we have a special badge for them available in full and scaled resolutions. I hate the term “winner” for a challenge like this, because it doesn’t really encompass the purpose. Just the simple fact that you signed up and made an effort to be more active and create more content makes you a winner in my book. So when I was looking for a new term, I decided to go with Conqueror, because really every person on this next list did just that. They conquered fear, they conquered apathy, they conquered doubt, and they conquered Blaugust. I am so irrationally proud of every person on this list that I struggle to put it adequately into words. Once again they have a badge available in both full and scaled resolutions. Once again we have a special group of Conquerors that returned from winning the previous year, to kick this one in the face. I find it pretty awesome that 13 of the 28 “winners” from 2014 returned. 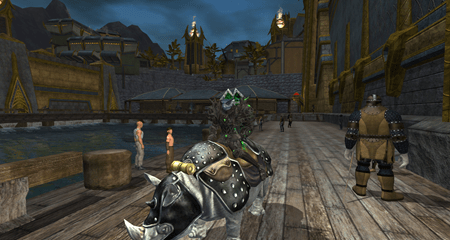 I feel like I also need to give special recognition to the Mystical Mesmer who managed to complete Blaugust on two completely different blogs this year. If that is not a microphone drop… I am not sure what is. Regardless this group also has their own special veteran badge in full and scaled resolutions. So now that all of the acknowledgement is out of the way… lets talk prizes. Since not everyone that crosses the finish line can actually win the grand prize, we have to unfortunately rely on random chance. Last year I struggled with figuring out a good way to do this, and as a result this year I just wrote my own damned dice roller. This allowed me to type in the number of folks who managed to get thirty one posts during the month of August, hit the big Roll the Dice button and get an output stream with one result per line perfect for pasting into a spreadsheet. I sorted the thirty one club alphabetically and then pasted all of my results in a new column. If you are curious what the final numbers looked like, I am working off of this spreadsheet as a award prizes. There was a slight monkey wrench thrown in my original plans as to how to give out awards. This was a good monkey wrench in the form of a bunch of prizes from Kings Isle entertainment. This actually gave me more “big prizes” to spread around which was really awesome as they gave me three prize packs from Wizard 101 and three from Pirate 101. Sometimes random chance is serendipitous. I had said from the very beginning that I would purchase a steam game for whoever managed to get the grand prize. It turns out… today is the birthday of this years winner. The dice were in the favor of Paeroka from Nerdy Bookahs. For winning the random number generator she got a Steam game of her choice… and she chose Valhalla Hills. Additionally since Kings Isle was so damned cool to chip in prizes, I also gave her one of the Wizard 101 and Pirate 101 packs. Since we had so damned many people manage to complete the challenge, I am going to try and give out as many prizes as I can. I have a stack of various game codes largely left over from humble bundles gone by. I have a spreadsheet that I am starting to circulate down the list of folks who managed to “conquer” Blaugust. I may not have enough codes to get through everyone, but I am going to try! So expect in the next few days to get a private message from me with a link, asking you to tag one of them items with your name. This was a pretty crazy month, and I want to thank all of you for participating. Next year I am going to start planning significantly ahead of time and am hoping to get more game companies to chip in goodies for the prize vault. I know at this point you are saying “What about Anook?”. Lonrem was up late last night tabulating the results, and since that prize is based on community participation on Anook I will be letting them make their own announcement. I am really happy that they have been so supportive of us essentially taking over a chunk of their website during the month of August. Blaugust will return next year and hopefully be even bigger than before! Blaugust is officially over… I mean it… put your pencils down and turn in your papers. Now begins the fun part of actually attempting to “grade”, and by that I mean tabulate the results. I started doing this yesterday afternoon with some of the early finishers, and if everyone that was a day away crossed that finish line… we have a pretty huge bunch of winners. Equally impressive as of yesterday we had 76 “Survivors” meaning that during the course of the month they managed to get in at least fifteen posts. Mostly I wanted to say a little bit this morning about just how proud I am of everyone who attempted any length of posts this month. The concept of daily posting is rather daunting and there are still days where I question my sanity as I plunk away at the keys each morning trying to make sense of the jumble of thoughts in my head. So while I will be terming people as “winning” the challenge you are all winners in my book even if you didn’t make it to fifteen posts. My goal all along has been to get more people creating more content about the things they love doing. After a point folks stop caring so much about what you are writing, and focus in on the fact that it is YOU behind the screen that is writing it. The whole idea behind Blaugust is if you can prove to yourself that you can churn out thirty one posts in a single month… then posting a handful of posts every week on a fixed schedule is really not that terribly daunting. Whether or not they realize it, people crave consistency. I started this blog with a decent boost of readers, but over the years of my lack of posting… I pretty much pissed all of those regular readers away. When I became consistent, folks started tuning in every morning to read all of these seemingly useless thoughts I was dumping out of my head… and apparently enjoying it. Today is my day for calculations, but I wanted to close Blaugust with one thought. Don’t let Blaugust be this marathon that you run once a year and then stick back on the shelf until the next year. 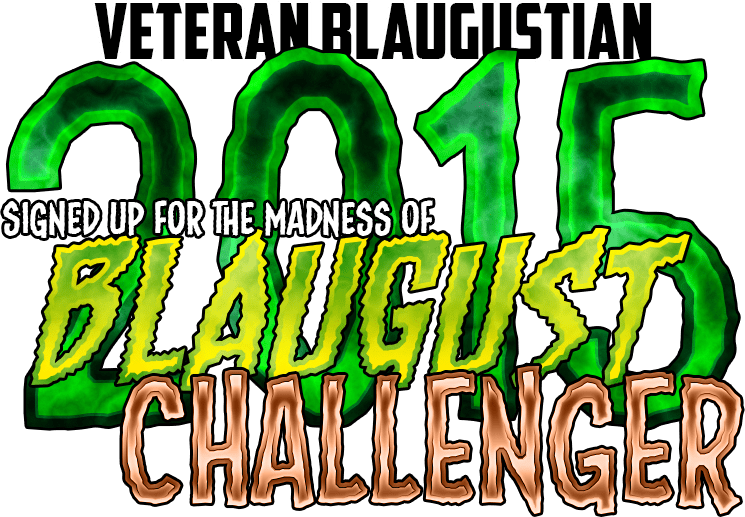 Let Blaugust be a spirit that you embrace every day, and an excuse to create regular posts throughout the year. First off I have to say that I have always hated this phrase… but sometimes it absolutely fits. Last night I talked to my mom on the phone, because it had been a few days since I had called my folks. They have had to deal with the fallout of a flood in one of the bathrooms, and this weekend they got into my childhood bedroom. My closet backed up to the bathroom so it was a assumed that pretty much everything in it would be ruined. The funny thing is… my Mom expected me to remember what I had in my closet over two decades ago. Luckily it seems that for the most part all of my comic books, and various sundry cards that I never bothered to “move out” were left untouched. Apparently some plywood seems to have wicked up the bulk of the water that made it through to the closet. As she was pulling stuff out of the closet she kept stopping and asking my dad what various things were. Then she got to an item that threw her for a loop. I was a little skater kid, and there was a phase in my life where everything that mattered about anything… was skateboard related. She pulled out this baseball bat that was scrawled with all sorts of skater terminology and logos in a combination of sharpie and paint pen. She wanted to know why this bat was all scarred like it had been hitting concrete and “defaced” in such a way. My Dad just said that it looked like “little boys were playing”. So I had to explain to my mother what the bat was used for. We used to go to the tennis court with our skateboards, as much padding as we had, and baseball bats. My friend and I would ride towards each other, each of us on one side of the tennis net like we were “jousting”. At which point we would put as much padding on our left arms as we could and use the right arm to swing the baseball bat at the other person. The goal of course was to knock the other person off their skateboard and the padding was in a vague attempt to block the blows. It is a miracle we didn’t do serious harm to each other. This apparently did not phase my father, because it turns out his childhood friend and he would fire arrows at each other from recurve bows… so I guess in the grand scheme of things getting beaned with a baseball bat doesn’t seem that dangerous? Since a good chunk of our raid was still doing the whole Pax Prime thing, we were not able to put in any attempts on Ravana Extreme last night. Instead I spent a good chunk of time fiddling with Bitdefender and ultimately uninstalling it. I guess I should have known better when my good friend Wulf struggled to keep it from blocking the Final Fantasy XIV game client, but I went ahead and gave it a shot. This time around it was the Glyph client for Trion Worlds that I could not get it to unblock. I finally uninstalled it and went back to AVG because at least I am used to it. 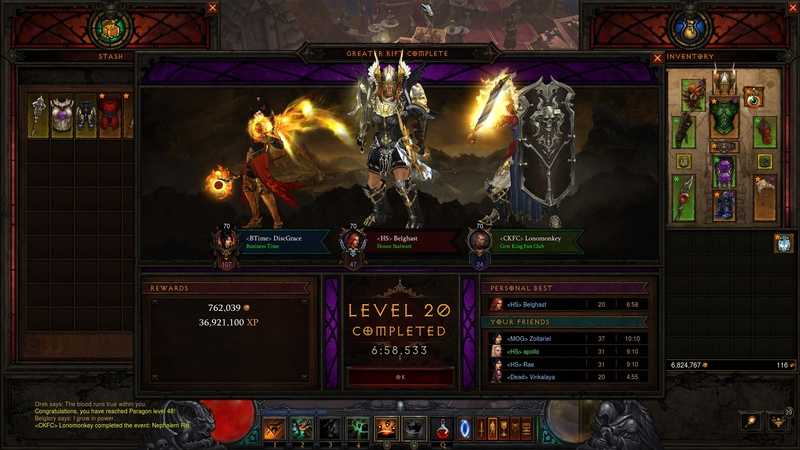 That of course killed an hour, so by the time I finally logged into Diablo 3 it was fairly late in the evening. 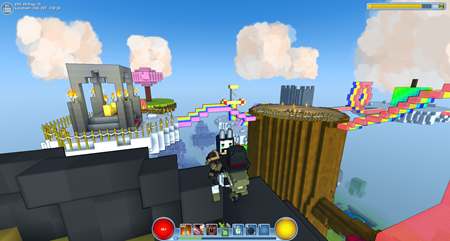 Grace was already hard at work doing rifts and such so I joined her until she left to go eat dinner. Then there was a block of time when the server was rebooted and patched, and I could not get reconnected to save my life. All the while I am watching The Strain on Hulu, which is a show I would absolutely suggest if you like Horror. The added benefit is you get to see Argus Filch playing a Van Helsing like badass… and yes I know the actors name is David Bradley but he will always be Filch to me. The big take away of the evening is that we managed to get Mor to 70 on his Crusader, and I managed to get up to 47ish Paragon levels before the end of the night. I still cannot deal anywhere close to as much damage as Grace can at this point so I feel like I need to do some research into how best to gear and spec out a Barbarian. I mean I do respectable damage but I think my gear just isn’t quite at the same level as hers. She is still absolutely carrying both of us hard when it comes to doing group content. Though last night I did manage to stay alive most of the time, I think I took two deaths throughout the night, which is significantly better than previous outings. We spent most of the night on Torment IV, and I can personally solo Torment I pretty effectively… it is just that bosses seem to take forever. 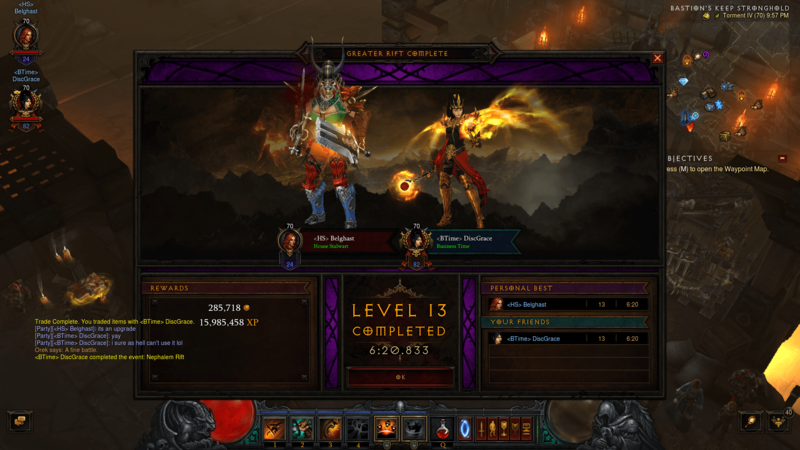 I am not sure how long this current addiction to Diablo 3 will last, but for the time being I am rolling with it. As the subheading says, it is in fact the last day of Blaugust and as such very soon I am going to begin tabulating the results. It has been an interesting month, but also a very quick one. It seems like just yesterday I was kicking off this challenge, and now we are staring at the finish line. It has also been interesting just how many people have participated in one way or another. Even if you did something as simple as retweet a Blaugust post, you are part of this and I thank you. In truth I was not really sure how the turn out for year two would end up looking. The biggest surprise honestly was just how many year one folks came back for this year. You’d think that they would have learned better by the time the second event rolled around. As I sift through the results it is going to be interesting to see just how many folks have completed both years at this point. The big take away this year is that we have already reached a point where we are just too big to be planned somewhat “on the fly”. Up until July I was still questioning if I would actually go through with a second Blaugust. I was somewhat shocked at the number of people who were looking forward to it. So I pulled things together and we ended up with this year, that went significantly more smoothly than the first. As a result I think for the 2016 Blaugust I will be starting to pull things together about four months in advance. Folks offering to sponsor prizes was a brand new concept to me, and this year we had Anook and KingsIsle Entertainment both chipping in prizes. I greatly appreciate them both, but I am hoping if I start the wheels moving several months ahead I will be able to get a few more people to come on board. It would be awesome to get some game keys donated for a sort of “Blaugust Game Club” like our AggroChat Game Club. 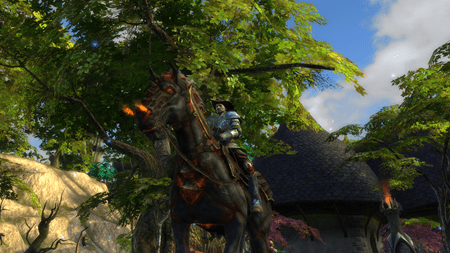 Where every Blaugust writer has the opportunity to play a specific game and write about it, because it is super interesting when you collect a bunch of opinions on the same title. I realize we are just how wrapping up, and folks are I am sure sick of it for the time being… but I am already thinking about how to make next year better. Friday night when I got home from eating with friends I started a brand new Female Barbarian, and as of last around 8 pm I managed to hit 70 securing at least some of the Season 4 rewards. While I managed to get drug along for a handful of levels, this is still the fastest and most dedicated I have ever leveled in Diablo. In part a huge chunk of it has been that I have largely been leveling with my friend Grace, who keeps pushing me to go do content rather than just piddling around like I normally do. Pushing is the wrong word because she was not even insistent… she just gave me a reason to keep grouping up and doing interesting things. The other big change this season is that I pretty much completely ignored the story line. In Season 3 I attempted to level my way through the story, which is apparently the worst possible way to level these days. Instead I largely started adventure mode from the moment I created the character, and the result is as I leveled I tended to always have legendary weapons that I could craft for my character. 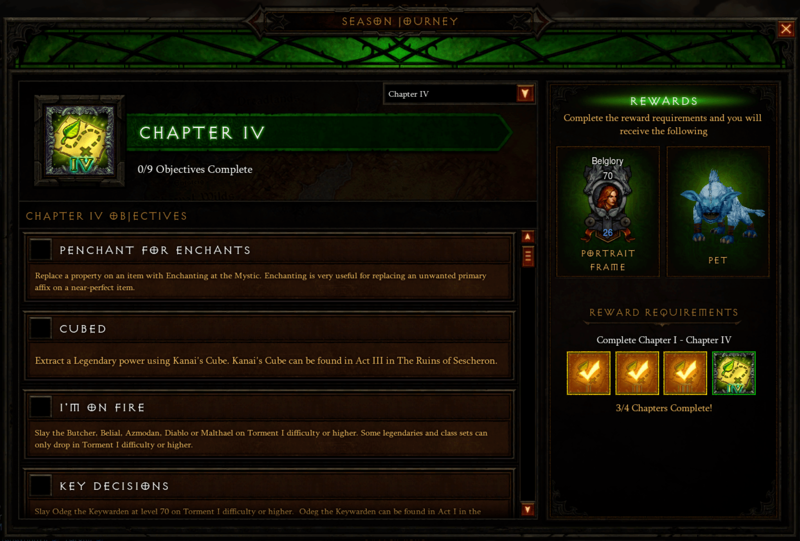 One of the big changes that came with Season 4 was the introduction of the “Season Journey” interface that serves as a way of unlocking the various rewards. Just for hitting level 70 on a seasonal character I unlocked the transmogrification pieces, but in order to get the Portrait Frame and the Pet I have to complete all four Chapters of the Season Journey. As of last night I have completed the first three and they were honestly all pretty easy. The final element that I needed was to defeat one of the major bosses on Master difficulty or harder. Since Belial is the fastest to get to on Adventure mode I popped over there and took him out with relative ease. Now I have to do some of the more grindy things like taking out each of the key masters on Torment difficulty. I also need to finally use the Kanai cube to extract a Legendary power, but I am trying to sort out what sort of power I want to keep. Honestly I feel like I need to read up on how exactly that process works before making any decisions surrounding getting powers from it. I know that once you do this you can choose at least one power as a permanent buff, and I have a few that are really nice. I really did not spend much time playing Reaper of Souls, and as such I had never actually done a Rift of any sort until this weekend. Grace on the other hand is an expert at such things and as a result I spent some of my “post 70” time last night with her working on Rifts and then the Greater Rifts that follow. I have to say they are crazy amounts of fun, and I am trying to sort out how best to use my legendary gems. Right now I have two of them, and I need to run more Greater Rifts to power up the second one. The first one is now at level 6, but once again I think I need to do some research in how best to utilize them. 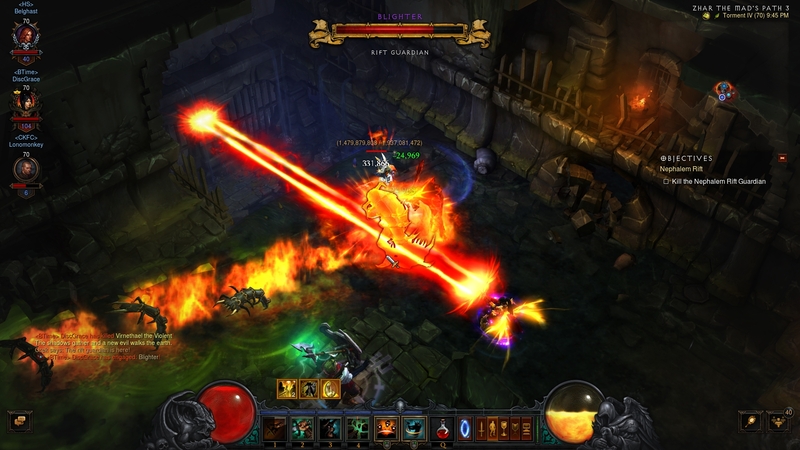 The game is so much more intricate than I remember it being, and in truth I have never played Diablo 3 seriously. I am having a blast so I guess that is really all that matters. My hope is that tonight our Final Fantasy XIV raid can down Ravana Extreme… but after that… I hope to put in big ole dent in some of these Chapter IV objectives. Some of you may know KingsIsle games as the creator of the wildly popular Wizard 101, Pirate 101 and the upcoming mobile monster destruction game Rise and Destroy. 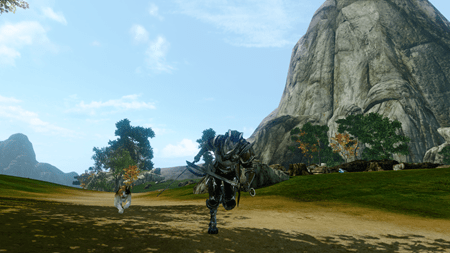 For those who do not they occupy a unique niche in the MMO industry. They create these awesomely rich cartoon worlds populated with tons of content, and all of aimed at being appropriate for pretty much all ages to play. I’ve not spent a ton of time playing these games but on a whim one weekend some of the AggroChat folks spent it rolling brand new characters in Wizard 101 and wandering around together. The game just exudes charm and I had enough fun that weekend that I decided to spend a little money on the game even though I really didn’t intend to keep playing it regularly. I’ve always heard they have an amazing community, and that KingsIsle in general does a lot to try and foster this. However I was pleasantly shocked when I was contacted by a representative from KingsIsle yesterday and handed some prizes for our Blaugust event. They handed me several codes for special bundles in both Wizard 101 and Pirate 101, each bundle having a retail price of between $29 and $39 bucks. That is absolutely awesome, and I actually spent a bit more time playing my Wizard 101 character yesterday. For those curious, I dug up the release videos for each of the trailers. I have yet to decide how I will reward these but it is awesome to have more options in the prize pool. If you interact with any of the KingsIsle employees, seriously give them a huge thank you! 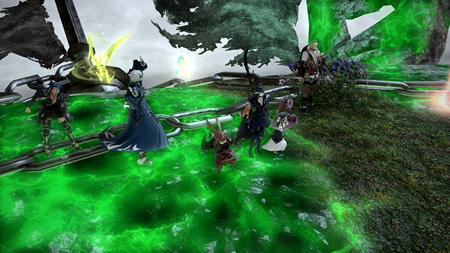 Last night is traditionally the raid night for my second static group in Final Fantasy XIV. However we were missing a significant number of the key players, namely our second healer and tank. For a bit we considered other options, and were on the verge of just running an expert for the day and calling it good. Problem being as I sat there at the keyboard waiting for things to happen I kept dozing off while leaning forward, literally waking up when my head banged my boom microphone. So instead of doing Final Fantasy XIV shenanigans I retired to the couch to peacefully doze in and out of consciousness while waiting on my wife to get home. I didn’t really want to go to bed for real yet, because once I conk out I am often times dead to the world… and I wanted to make sure she made it home safely and didn’t have car trouble or anything out of the ordinary like that. 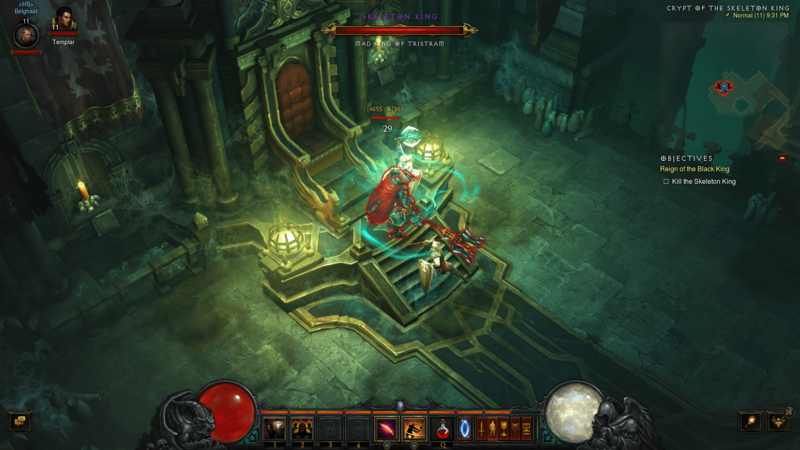 Before the attempt at raiding, and a small bit afterwards I continued playing some Diablo 3. The game worked mostly because I had no one relying on me, and quite frankly I was playing on normal level which means I can doze off for a second here and there and suffer zero consequences from it. After I beat the normal storyline and unlock the content I will end up dialing up the difficulty as I attempt to level to 70 before the 23rd. This is really a stupid mission I have set out on… largely because I really need to be in Final Fantasy XIV instead capping esoterics for the week. The interesting thing about Season play in Diablo 3 though is it feels like they have ratcheted up the drop rates of everything. While my profile has not updated to show it yet… at level 13 my crusader already has three legendary drops… including Genzaniku the awesome axe that summons a spirit to fight for you. When I entered into this seasonal thing I fully expected to lose my character at the end of the season… because I didn’t actually do any research before saying “sure” and clicking on the seasonal button. I guess however everything you earn in season just rolls over into your normal characters at the end of a season which is pretty frickin cool. So even if I don’t make any real progress in season 3, I will absolutely be starting a fresh season 4 character to play as well. I guess in the coming days I will be popping into Final Fantasy XIV to get in an expert or two and then popping into Diablo 3 because it makes an excellent way to wind down for the evening. I mostly enjoy soloing over there, but I am always looking for people to chat with while I am doing it. I finally got around to adding my friend Byx last night to battle.net and I know there are tons of other people that I should as well. 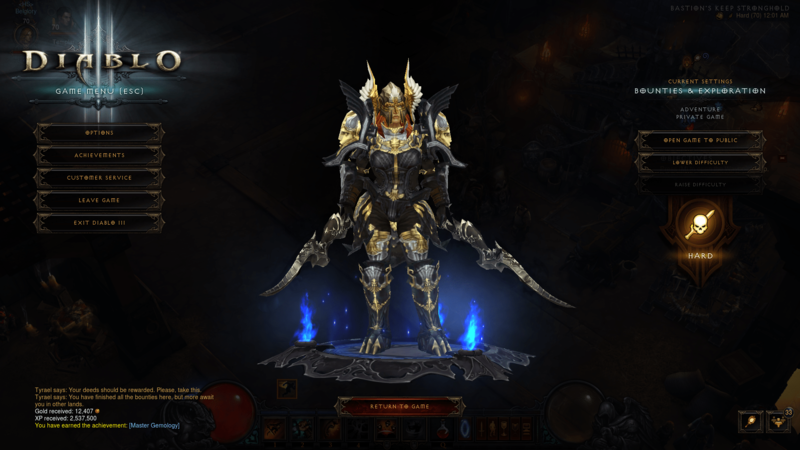 I am finding that I am really enjoying the crusader, but in truth all of the classes I have played so far have been enjoyable in one way or another. I just find it so bizarre that at this point, World of Warcraft is probably my least favorite Blizzard game. This is potentially going to be one of the stranger morning blog posts I have made in awhile. Yesterday during the midst of another conversation entirely I planted a seed, and got a significantly more favorable response than I had expected. Essentially I have thought for awhile how awesome it would be to have some event that let all of the great people I know through gaming or blogging to meet up, hang out, and cause mischief. This year it was my hope to be able to make Pax Prime since there are a significant number of people in the Seatle area now. The problem being by the time I even knew the tickets had gone on sale, they were already completely sold out. Our backup plan was to try and get AggroChat qualified for press passes, but we were summarily rejected without much notice as to why. Every major convention has this same issue, with having way more demand than there are tickets available for folks to attend. So this sent me down an alternate line of thinking… maybe we just need to create our own convention. I know that sounds crazy at first glance but bear with me for awhile. My wife is heavily involved in the twitter math community, and five years ago they were lamenting how every single professional development workshop they have been to was essentially a waste of time. One discussion lead to another, and the idea was mentioned that what they really needed was a way to get together so that they could share ideas. From there they organized the very first Twitter Math Camp in St Louis, and it was a huge success. That first year only around fifty teachers attended, but each additional year it has grown to this year in Los Angeles there were over 200 teachers. So seeing this go from someones vague idea to fruition maybe gives me a different perspective than the average person when it comes to the thought of forming our own convention. I mean ultimately that is how most gathering start, with a basic idea and then just branching out from there. 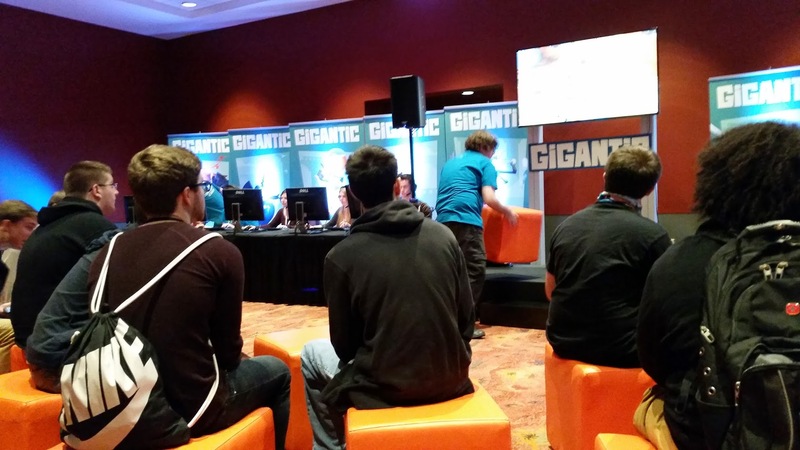 I loved Pax South, but not really because the convention itself was this magical place. The floor was busy, and there were so many people wandering around that it became hell to find a quiet spot to yourself to think. What made the convention awesome was getting to hang out with people that I had only ever talked to online. When I realized this… I realized that I didn’t actually need a convention to have fun, but in truth could potentially have more fun if I just somehow managed to gather up a bunch of people in one place and time. Even if we quite literally did nothing but hang out and play board games and talk about life, it would still end up being an amazing experience. That said I do think we could convince enough people to show up to make it an interesting experience for all of us. Think about the sort of things we go through with the Newbie Blogger Initiative each year, and ultimately how much we learn from one another. It would be easy enough to throw together a series of panels discussing the finer points of various blogging skills that we have. I mean it would be pretty awesome to record an impromptu live Podcast for example, or a technical discussion in how to get the most out of WordPress. There are real things we could talk about, and with that many game bloggers in one spot we might even be able to talk some game companies into showing up as well. Maybe I am brutally naive… but I think it is a thing that might be doable. I literally have thought about this for awhile now, and those thought processes were just made more concrete after returning from Pax. I’ve long thought that the best place for a meetup would be in a central state. Conventions have this problem of being super convenient for people living on one particular coast, but damned near impossible for anyone else to attend. So after a lot of thinking basically I came up with two potential locations. Both locations have strengths and weaknesses, but both are also fairly centrally located making it not too horrible from pretty much anywhere in the United States, and potentially even doable for Canadians. St Louis is significantly easier for me personally… because I know the town decently well and have several friends in the area that I could potentially recruit to help. Chicago on the other hand… other than flying through O’Hare I know nothing about it, and I really have zero support structure to help out with the planning and the details. Its biggest strength however is O’Hare airport, because essentially it is a straight flight from any major airport cutting down the overall travel costs. That said St Louis hotels, venue rentals, and pretty much everything else would be significantly cheaper which might offset the travel costs. All of this said… they both have strengths and weaknesses, but as I said my personal leanings are towards St Louis simply for the familiarity point. I guess the ultimate question is… would some sort of convention/meetup be something that our community would even be interested in? We would have to set a date well into the future and begin planning now to make it work, but before any of that… I need to know if people would actually come. I think it could be a really awesome experience, and if nothing else let a whole bunch of people that have only ever communicated online hang out and get to know each other. I also think there is a lot of cool stuff we could learn from each other, so I feel like it could be more than just a “gathering”. Over the last several years we have gone from being a vague connection of island states, to being a serious and formidable community constantly welcoming new people. 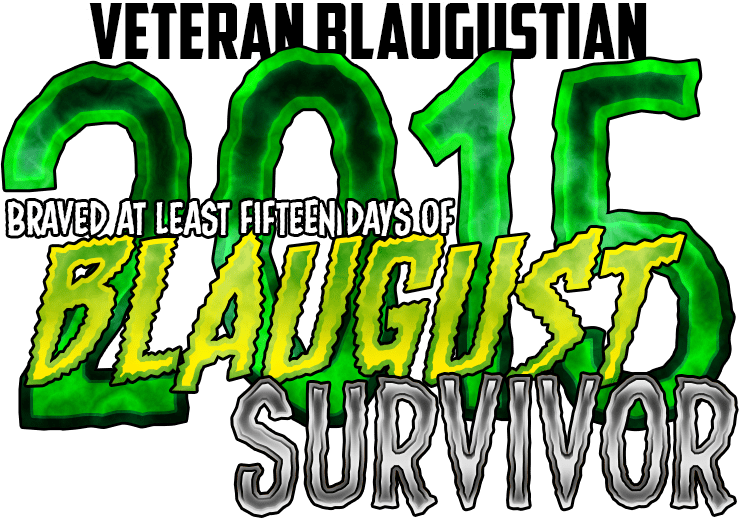 Blaugust while stressful, is an amazing event and just one in a long line of events that we do each year. While I jokingly referred to this as BlaugustCon… it is more than just that. I think we could build something amazing in the real world in addition to all of what we are doing in the virtual world. Like I said.. the real question is do people even want this? I don’t often ask for feedback, but in this situation I absolutely need it. Leave me a line and let me know your thoughts.